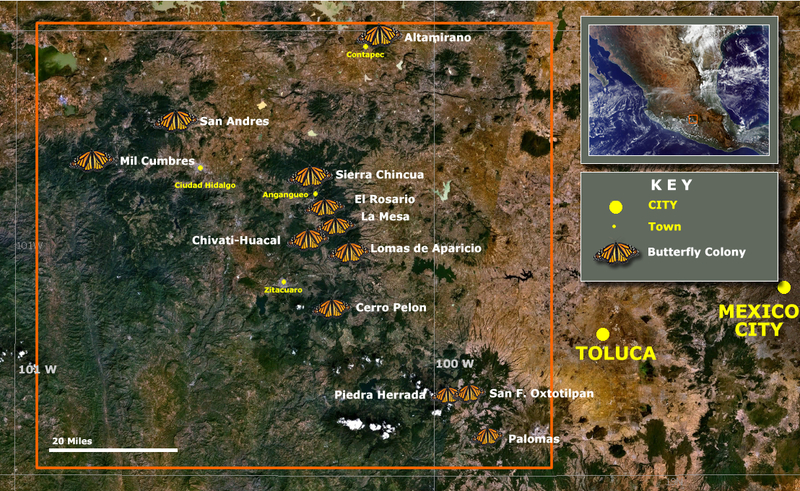 Last week's disaster in Mexico's monarch butterfly region continues to be our focus and concern. Students can send moral support by writing letters. Those who want to send financial support can contribute to Journey North's fundraising drive as described below. In the days ahead, we expect to hear how the severe weather affected the monarch butterflies. 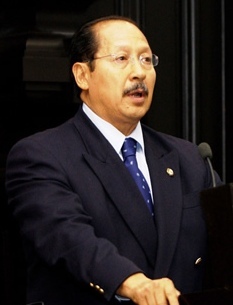 Scientists are concerned to know whether the forests provided adequate protection. This video clip shows the Romero's store and home (front left). It was taken after peak flooding. The stains on the buildings show the high water mark. 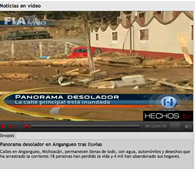 This news video contains footage of Angangueo during the evacuation. 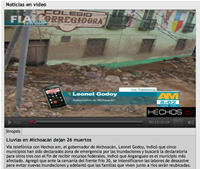 This news video shows clean-up efforts underway and Governor Godoy of Michoacan is interviewed. The footage begins outside Colegio Corrigidora, a long-time Journey North school. 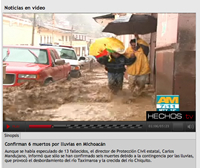 Among the flood scenes in this video clip, you'll see Estela's car that was swept away by the rushing river! According to our contacts in the region, people are receiving the emergency food, shelter, clothing, and medicine that they need. Government agencies, community organizations, friends and neighbors have organized to provide the most basic needs. Even before the storm, the economy was fragile in Angangeuo and the surrounding communities. Few people have insurance to replace the homes and cars they have lost. The entire infrastructure has been damaged, and it will be a monumental task to rebuild. Your contributions will be forwarded to organizations who are experienced in sustainable development projects and can work strategically and efficiently in the local communities. 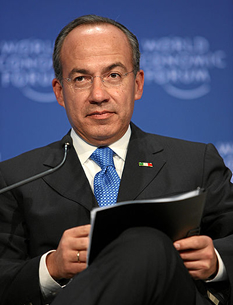 Children can provide moral support by sending letters of encouragement to the government leaders who are responding to the disaster in Mexico. These officials will be inspired to know that thousands of children care about the people who live in the monarch region, and are personally connected by the monarch butterfly! The 55,000 Symbolic Monarch Butterflies you sent to Mexico were received by children in the very communities that were struck by this disaster. 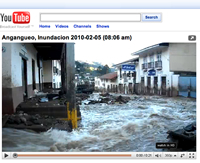 On Friday, February 5, after extreme rainfall in central Mexico, a disastrous flood struck the mountain town of Angangueo, Michoacan. This little town—which is located at the center of the monarch butterfly overwintering region—sustained extensive material damage and even human loss. "The river running inside our house was jammed with rocks which cracked the structure of our house. The whole ground floor is totally flooded and lost. Our store is also totally flooded and lost. Our cars and truck were taken away by water. We were trapped and were taken out from the back part or our home by a group of courageous town young boys who were among the very few volunteers still remaining in town. I felt we had little possibility to survive if the rain did not stop. I could not imagine how we would spend the night in the house, since the height of the water was rising and enormous rocks were being carried with the rushing river." 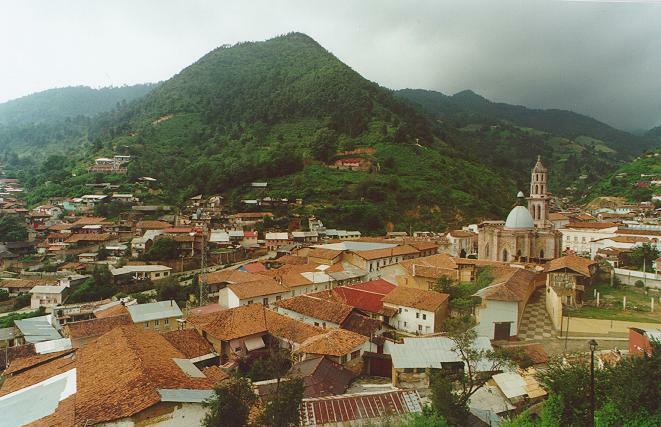 The government of Mexico has declared Angangueo a disaster area and thousands of people in the area have been evacuated to nearby towns. The roads into and out of the area, and up the mountain to the sanctuaries, have been damaged extensively by landslides. The rainfall lasted over 48 hours and was the heaviest in 25 years, according to Mexican authorities.